Product prices and availability are accurate as of 2019-03-09 19:14:23 EST and are subject to change. Any price and availability information displayed on http://www.amazon.com/ at the time of purchase will apply to the purchase of this product. Fits most valve outlets. 3/8" compression x 7/8" ballcock. Includes 1/2" iron pipe valve adapter and 1/2" OD compression valve adapter. 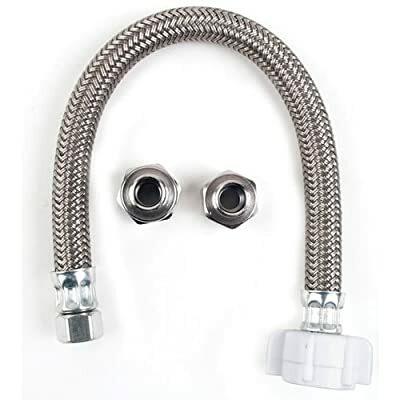 12" hose length.